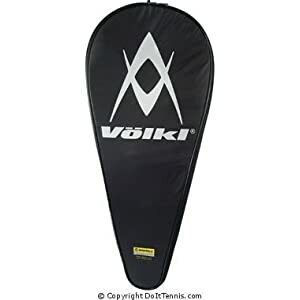 Volkl official racquet cover will protect your racquet and provides for easy carrying to and from your matches. Holds 1 racquet. 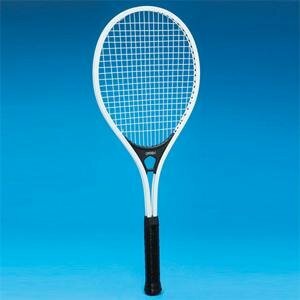 Aluminum frame racquet. Hy-sheep strings with PU sponge leather grip. 4-3/8″ grip size. 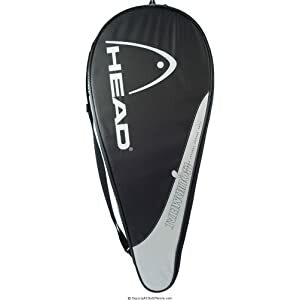 Head Liquidmetal official racquet cover will protect your racquet and provides for easy carrying to and from your matches. 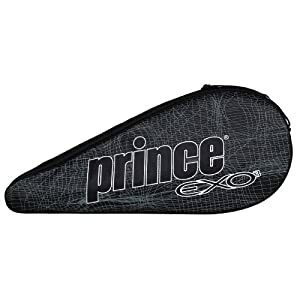 Holds 1 racquet. 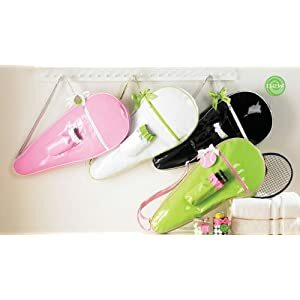 From on the court action to courtside celebrations, she will be the “Queen of the Court” with this tennis racquet cover from the Swingers Collection by Mud Pie. Swingers racquet cover is the perfect gift for the tennis enthusiast on your gift list. 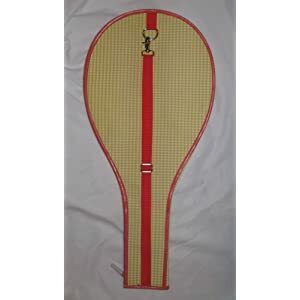 Faux patent leather racquet cover features an outside pocket to securely store your tennis balls, water bottle or other items, adjustable shoulder strap embellished with a grosgrain bow, double zipper closure, outside zippered compartment, and nylon fabric lining. Three color choices to choose. Availability is as indicated: (2) each of the following color choices: Black w/ White Accents (2) Pink w/ White Accents (2) White w/ Lime Green Accents. Approximate size: 29″L x 13″W x 3″D. PLEASE SPECIFY COLOR CHOICE IN GIFT MESSAGE OPTION. 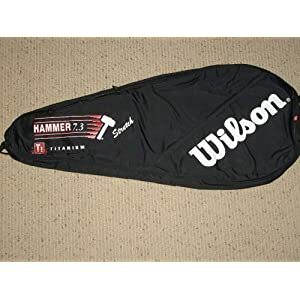 Genuine Wilson Hammer 7.3 TI Titanium Stretch racquet cover is made to fit 1 tennis racquet and fully secure your frame. Adjustable shoulder strap to fit any size. 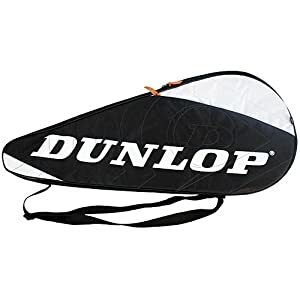 Dunlop’s tennis racquet cover is made to fit 1 tennis racquet and fully secure your frame. Adjustable shoulder strap to fit any size. Tennis Anyone? 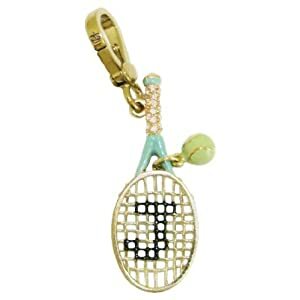 You’ll jump over the net when you see this cute tennis racquet charm from Juicy Couture! Polished Gold Metal racquet with enamel and crystal studded handle. Even a cute enamel and gold tennis ball! Pefect for a charm bracelet and even fun to wear as a pendant with your favorite gold chain. Polished Gold Metal Clasp with Etched Juicy Crown. Measures 2″ including clasp. Packaged Complete with Juicy Couture Charm Gift Box. A great gift idea!